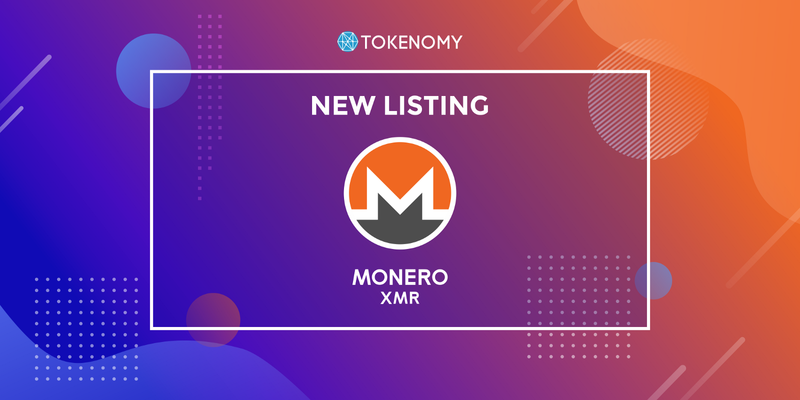 We are thrilled to announce that Monero (XMR) is listed on Tokenomy Exchange and Tokenomy members are able to trade Monero (XMR) now! Monero adds variety Tokenomy’s offering of privacy coins, following Zcash’s recent addition to Tokenomy exchange. While Zcash has been referred to as one of the most important projects in the entirety of the crypto space, Monero brings unique value to those seeking completely anonymity. Monero is a cryptocurrency focused on fungibility and security. Monero’s fungibility stands out as its advantage over similar cryptocurrencies such as Bitcoin. Fungibility means that each unit of a currency is interchangeable with another unit of that currency. Since there is no way to track the transaction history of XMR, any 1 XMR is the same as another 1 XMR. On the other hand, with Bitcoin, anyone can trace the creation of 1 BTC back to its creation transaction. With completely private transactions, Monero addresses the problem of traceability inherent in other currencies. Don’t have a Tokenomy account yet? No worries. Simply visit Tokenomy Exchange now to sign up for free and start trading XMR!